As someone who's followed her journey very closely, it surprised me to hear that not all of the Kardashians met Caitlyn Jenner right away, as she explains in the first episode of I Am Cait, which premieres Sunday, July 26. After all, even as an outsider to the situation and not a family member, it's a constant struggle to not try to run to wherever Caitlyn is and scoop her off the ground in a bear hug just because I'm so damn proud of her. But everyone copes with news in different ways, so it's not a surprise that the Kardashian family might have reacted differently than I would have. So, I basically talked myself out of judging the situation, but I was still curious about it in terms of a question it brought up: when and how the Kardashian-Jenner family met Caitlyn, after so many years of knowing her as Bruce? She hasn't spoken up about every meeting yet, so it's not entirely clear which of her kids held off from meeting her, but there are details on the Internet about some of them. Let's investigate. In the first episode, we find out that Kylie met Caitlyn for the first time via FaceTime, when Kylie was feeling "loopy" after a dentist visit. Caitlyn told Kylie she didn't want to scare her, and Kylie responded, "You're not scaring me. You look pretty!" 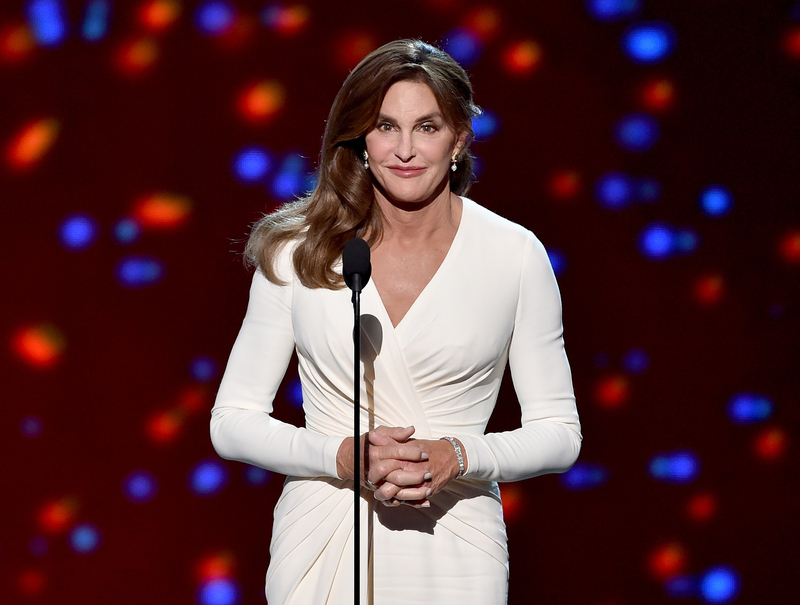 It's not entirely clear how much or how long Kris knew about her ex's transition, but it's probably more than a lot of fans realized, as Caitlyn has been open about starting hormone treatments back in the '80s, and once said that when she met Kris, she was already a "good solid B cup". Still, it's unclear when or if Kris has met Caitlyn. It was so beautiful. I actually went to the shoot, and that was my first time meeting Caitlyn. She's beautiful, and I'm so proud that she can just be her authentic self. I guess that's what life is about. In contrast to Kim, it seems pretty likely that Kourtney's first glimpse of Caitlyn was on the Vanity Fair cover, which actually may have been the way Caitlyn intended it. She felt like it might be easier for some of her family members to see her there first, so it wasn't so jarring to meet her in person. According to the Vanity Fair story, Caitlyn's oldest child from her first marriage to Linda Thompson met her for the first time after a surgery, and she pulled up her shirt to show off her newly-augmented breasts. She was probably just excited about her surgery, but Brandon responded with, "Whoa, I’m still your son." Their relationship is not only intact, but Brandon seems to have been pretty involved in the transition process. Caitlyn's second oldest child from that same marriage to Linda Thompson has spent some time in the spotlight himself, so I was particularly interested to see how he'd handle Caitlyn's transition and when he'd be brought on board. And it seems like the answer is pretty early! Brody says he knew about his father's transition for three years before the public found out, and even admits he gets along better with Caitlyn than he did with Bruce! And that's all we have so far! I'm sure there's a delightful story out there somewhere about Kendall Jenner's meeting, or Khloé Kardashian's, so we'll just have to wait and see when those story's are revealed.